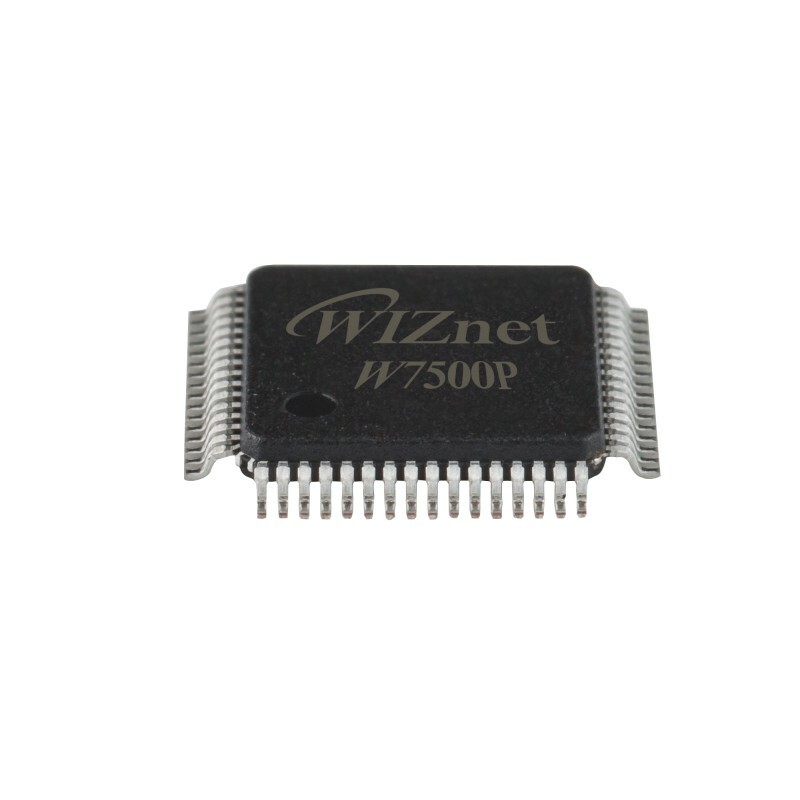 The IOP (Internet Offload Processor) W7500 is the one-chip solution which integrates an ARM Cortex-M0, 128KB Flash and hardwired TCP/IP core for various embedded application platform especially requiring ‘Internet of things’. 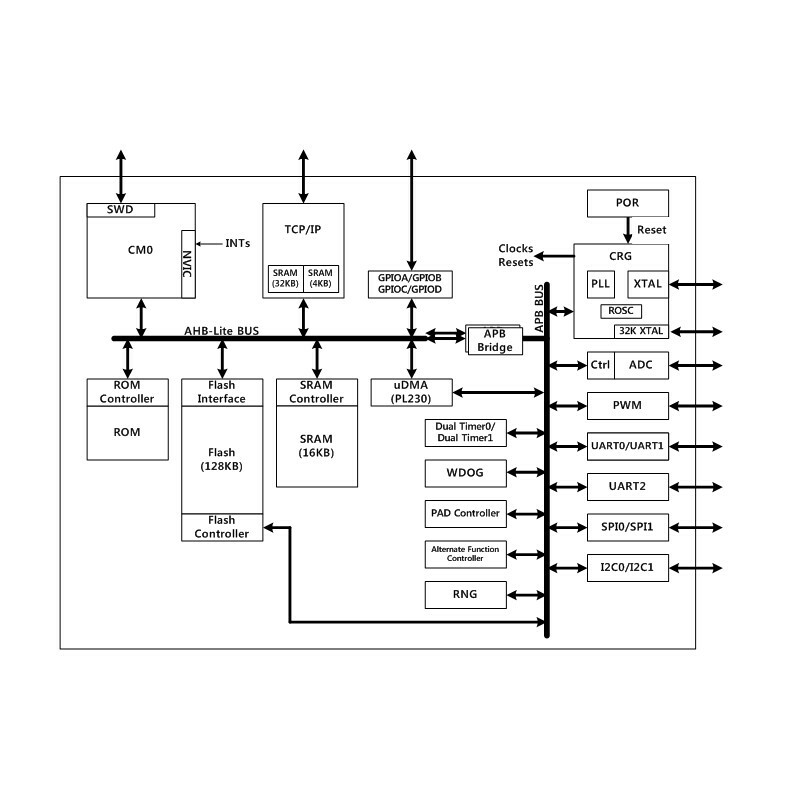 The TCP/IP core is a market-proven hardwired TCP/IP stack with an integrated Ethernet MAC. 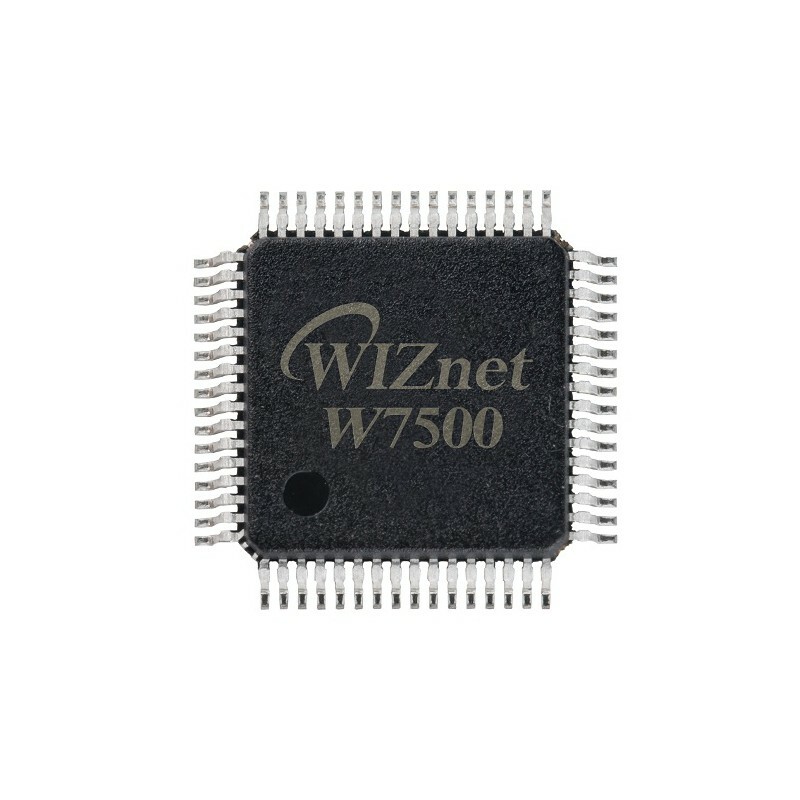 The Hardwired TCP/IP stack supports the TCP, UDP, IPv4, ICMP, ARP, IGMP and PPPoE which has been used in various applications for years. 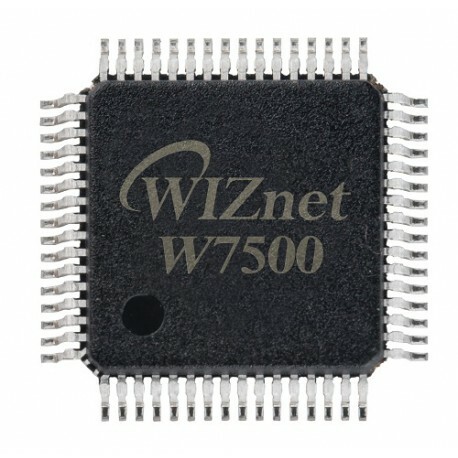 W7500 suits best for users who need Internet connectivity for application.